I could not justify the purchase of CrossFit gear for a long time. In some weird way I felt like since I wasn't a CF Games competitor I wasn't supposed to have any of the "extras". I am way over that mentality now. The proper equipment can help you improve your skills and fitness, regardless of your CF level. Below is my list of must have gear. There are a lot of brands and equipment options out there, but I like to talk about what I know. So here we go! If you only plan to invest in one item for CF then a good pair of shoes are my top suggestion. All feet are designed differently and shoe preference will vary from person to person. I suggest trying on a few different pairs while mimicking some CF moves. Do some squats. Jump around. Jog around the store. Get a really good feel for them. If they feel heavy and clunky, they are not the right shoes for you. Josh and I wear Reebok Crossfit Nanos 2.0 and we love them. They are light, flexible and they last a long time. 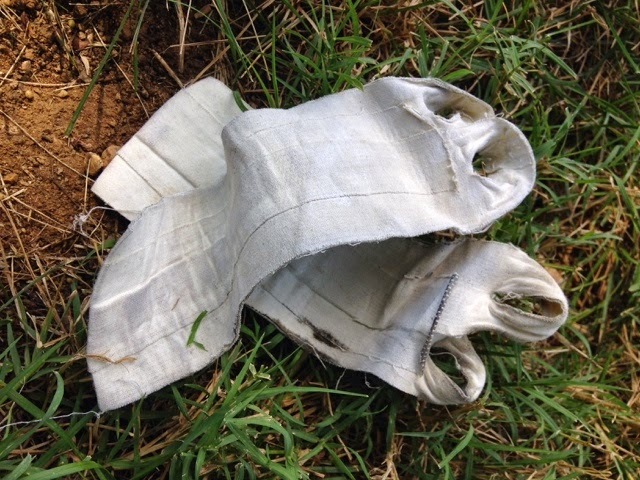 I have had mine for almost two years, and despite having their fair share of rope climbs, runs, and box jumps under their laces, they are still in good condition. 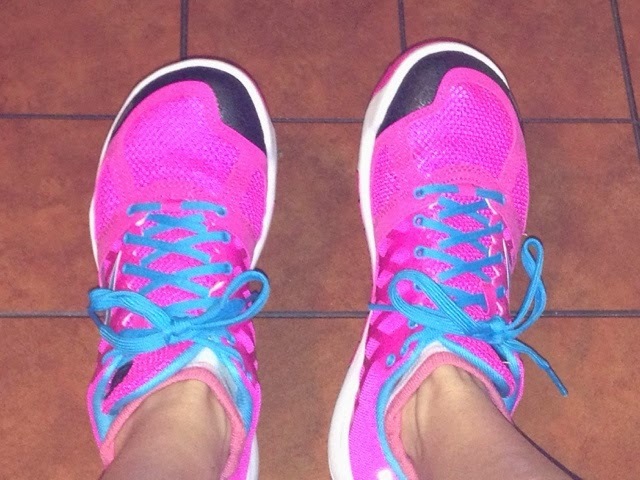 For other shoe suggestions click here! 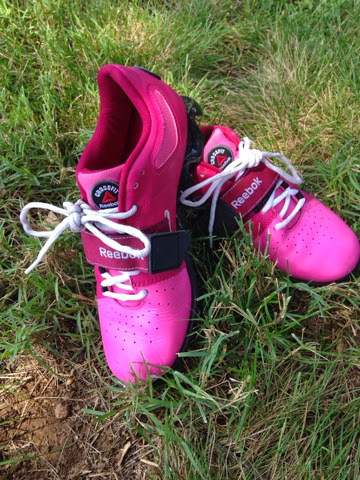 Following your regular WOD shoes, I suggest investing in weight lifting shoes. I put off purchasing these for a long time and boy do I regret it. Lifting shoes help you lift more weight while maintaining proper form and stability. A good weight lifting shoe helps stabilize your foot and puts your body weight in the tripod (heal and ball of your foot). If you have a tendency to roll onto my toes during squats (like I do), a lifting shoe will help you stay balanced and firmly planted in the tripod position. I put on my lifters for weight lifting days and WODS that have more of a barbell focus. Since you do not wear them as much as your regular CF shoes, your lifters will last you a long time. If what I said above doesn't convince you to purchase lifting shoes maybe this will! I have the Reebok CrossFit Lifter which are currently on sale. You are cranking out some Overhead Squats or killing some Push Presses. The weight feels great but you are forced to drop the bar because your wrists are KILLING YOU. 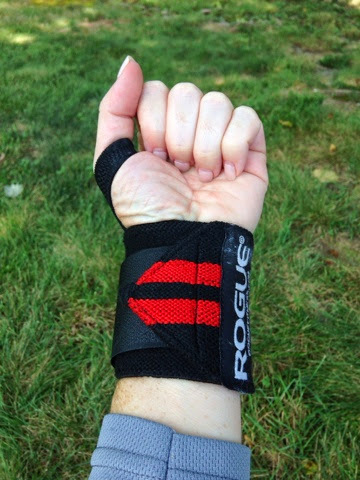 It is time to purchase wrist wraps. Because of the extra stability and support the wraps provide, you will be able to lift more weight and get in more reps! 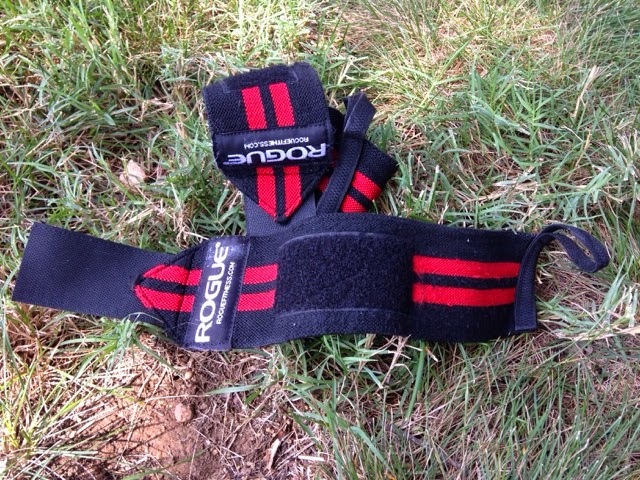 I have Rogue Wrist Wraps in Size Small. What they look like when you are wearing them. Double Unders are regularly incorporated CrossFit WODs but a lot of people have trouble conquering the skill. While practice makes perfect when it comes to DUs, owning your own rope doesn't hurt either. 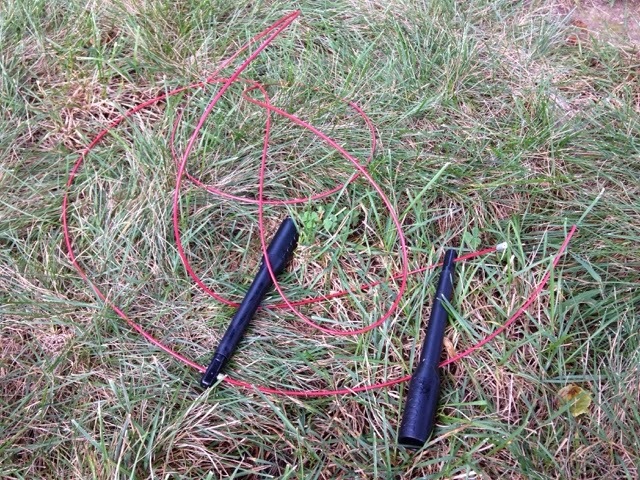 I suggest a speed rope with an adjustable rope length. Gradually as you get better at DUs you will be able shorten the rope length and get faster DUs. A custom rope limits you to one length which will be a disadvantage if it comes too short or too long (this happened to Josh). Thicker ropes are heavier and make quickly moving the equipment more difficult. Yes, they hurt less when you miss a jump. However, I find it easier to get a good pace with a fast moving rope! Pull-Ups were one of the CF elements that took me the longest to conquer. I had the strength but I either got so sweaty I could not grip the bar (regardless of how much chalk I used) or my hands ripped making it painful to continue. Josh got me some natural grips to see if they would help. At first I did not like them and felt like they made the bar even more slippery. But after I got used to them (and they got dirtier), I held on to the bar longer, completed more reps, and my callouses rarely ripped. 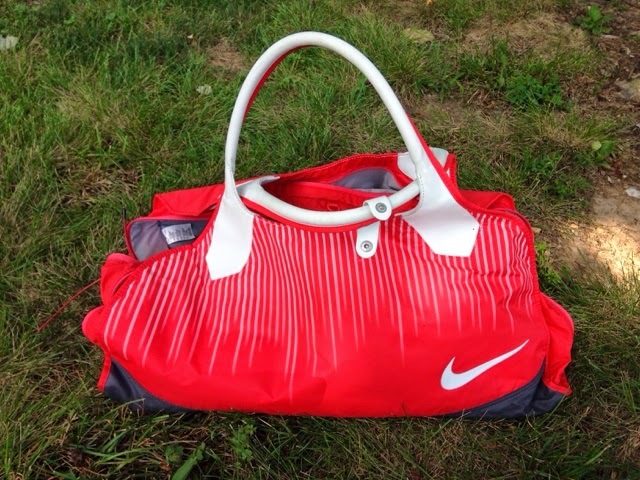 Josh and I keep all of our equipment (minus our Nanos) in a gym bag that stays in the car. Then we never show up to a WOD missing the gear we need! What are your CrossFit gear must haves? Oh cool! I will check that out, and thank you for sharing! Wow it's very nice post. Really enjoyed reading it from start to finish and I am interest for your next post and you have any time details to know please visit my weight lifting tank top page and leave comments. Those products are really good for who is going to learn Crossfit things. Crossfit training Is really good for health. And I hope that you enjoy your time on our website, and find the best cross training shoes for your workouts.